Summer is back and its getting difficult to spend time in the kitchen cooking three meals a day. So why not make a collection of recipes that are quick to make so that we get to enjoy good food done in lesser time..This month Whats Your Favourite event theme is Quick Food..Come out with all those delicious and easy to prepare filling breakfasts, lunch ideas, snacks, sweets, starters and anything that would give you more time to relax without compromising on food. 3) Mail me the following details - Subject: WYF:Quick Meal, your name, dish name and link to the post to easycrafts@gmail.com by 31st May '09. I will pick up the picture from your blog...you neednt send it. The roundup would be published during the first week of June. Recipe source: Priya from Easy N Tasty recipes..
Roast the corn flour on low flame without any ghee for a minute. Now, add the water,cardamom powder and sugar to it and mix well to a smooth paste. Start heating it on low flame and keep stirring to get a transparent lump. Add food colour and ghee to it and keep stirring it. When it starts leaving the sides of the vessel, add the roasted nuts and transfer it to a greased plate. Cool and cut into pieces of desired sizes. Can be stored under refrigeration for 2-3 days. Please note that a small cup of cornflour gives good quantity and it is better to start with lesser quantity considering the shelf life. Just a day left for the WYF:Side dish event to end ..Pls rush in your entries. Make a thick batter of cornflour, all purpose flour, gram flour, 1/2 tsp red chilli sauce and a bit of salt. Cut the bread into small pieces, dip in the batter and fry them in hot oil till golden brown. Drain out the excess oil using a tissue paper. Heat 1 tsp oil, add onions and fry them for a minute. Add capsicum and fry it as well for another minute. Add soya sauce, red chilli sauce,green chilli sauce and a pinch of salt. Add the fried bread pieces and mix well to coat it with the sauce. Garnish with coriander leaves and serve immediately. how to make bread manchurian, manchurian recipe, manchuria, bread starter, manchurian chinese dish varieties, indo-chinese cuisine, easy and different snack recipe. This is my mom's preparation..
Wash and wipe the tender mangoes well. Apply the castor oil to it. Add salt, turmeric powder, red chilli powder, mustard seeds powder to the mangoes and then water till the mangoes are well covered with the spicy water. Shake well to mix the masala and keep the jar closed. Every day, shake and mix it well atleast 2-3 times. Repeat the process for atleast a week till the mangoes shrink very well in size. Vadu manga is ready to serve as a side dish. 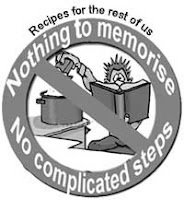 Watch out for reviews of the cookbooks I have. The colour of the gravy here looks a bit odd because of the mixture of red colour from tomatoes and green colour from spinach..but it is a very healthy dish and the gravy is a bit tangy because of the addition of tomato sauce. Mix all the ingredients for kofta except paneer and nuts. Make small balls and stuff the grated paneer and nuts in between and make balls again. Deep fry in hot oil till golden brown if you are not conscious of oil intake..The ones in the pic have not been deep fried, it has been cooked on a paniyaram pan with just 1 drop of oil for each kofta. Heat 1 tsp of oil and add cumin seeds. When it splutters, add the tomato paste and spinach paste and rest of the ingredients for gravy. Allow it come to a boil. Add the koftas to the gravy just before serving. My mom made these and sent me the pics to share the procedure for sago vadaam ..
Soak the sago overnight in 3 cups of water. Next morning, grind it along with salt, asafoetida and green chillies as required. Now heat it along with one more cup of water on low flame and keep stirring till you get a transparent and a bit thick liquid. The kuzhu is ready. Cool well. Now tie a clean muslin cloth (or thick plastic sheet) over some wooden base. Take a small ladle full of the kuzhu and pour it in the cloth to make a small round. It will spread by itself, so leave a little gap between two vadaams. Repeat the process for the entire kuzhu. Dry well under hot sun.. Depending on the heat, it may be ready in a day or may take another day as well. Ensure to keep in a safe place away from birds, animals and dust. Once dry, it would be transparent and very crisp. This can be stored for a year in a clean box. To serve, just heat oil in a pan and fry the vadaams one by one without turning it reddish. Serve with rice or just as a snack. Sending it over to Priti for her Festive food:Summer Treat event. Mix all the ingredients except oil and paneer pieces. Slit the paneer in the center without breaking it and stuff the green paste inside it. Marinate for atleast 1/2 hr in the refrigerator. Cook on tava or grill it in the oven with a few drops of oil. Thanks a lot Padma of Padma's Recipes, Trupti of Recipe center and Kavitha of Kavitha'vin Kaivannam for considering my blog worth your appreciation and award.. Some of the keys on my keypad are not working properly since some days and am finding it really tough to type even a recipe. Although I am daily checking out the updates on your blogs, I am not able to comment on your posts ..Pls bear with me until I set it right..
Heat oil, add mustard seeds. When it splutters, add blackgram dal, bengalgram dal, curry leaves and green chillies. Add onions and fry for 2 minutes. Add the dosa pieces and mix well. Sprinkle little water and cook covered for 2-3 minutes on low heat. Add chopped coriander leaves and mix well. Optional-You can make it healthier by adding some vegetables and tomatoes to the upma. Sending it over to Mahima for her 15 minute cooking event. Mix all the ingredients for dough well with hands and then sprinkle water to make a stiff dough. Keep covered. Roast sesame seeds seperately. Heat oil, add cumin seeds. When it splutters, add ginger paste and the onions. Fry for a minute and add rest of the filling ingredients and mix well. Cool and grind to smooth powder. Make small balls of it and roll it into chapatis. Spread the masala paste over it and roll the chapati tightly till the end. Wet the ends and stick well. Now cut it into 1" pieces and deep fry till cooked and light brown. Also made some more shapes with the same dough and filling. Roast the masala ingredients in a drop of oil, cool and grind to smooth paste. Heat the rest of the oil, add mustard seeds and blackgram dal. When it splutters, add curry leaves, onions, green chillies and asafoetida. Fry for a minute and add tamarind juice, turmeric powder, and mixed vegetables. Allow it to boil for 4-5 minutes and add salt, jaggery, mashed redgram dal. Mix well and finally add the masala paste. Add more water as required to make thick sambar and allow it to boil. Serve with South Indian tiffin varieties and rice. Sending over this special sambar associated with the temple town of Udipi to Deesha for her South Indies-Taste of 4 states series and also to Shama's Village special recipes event..
Make a paste of cornflour and water. Heat it on a low flame and keep stirring. Once it all comes together as a lump, put it into the sev press and press it immediately into ice cold water. Cut the kulfi into 3-4pieces. Pour the falooda without any water over it. Garnish with chopped nuts and serve immediately. Sending this over to My favourite things:Frozen Desserts event started by Bindiya and guesthosted by Aquadaze. This also goes to Srivalli for her Mithai mela. Make a soft dough of the wheat flour, salt and water. Mix all the ingredients of the stuffing and keep aside. Roll out the dough into small pooris, stuff some potato filling in the center and close it from all sides with the dough. Dust with some wheat flour and roll out again into thick pooris without letting the filling come out. Repeat for the rest of the dough and deep fry the pooris in hot oil. 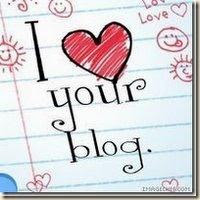 Thanks Prathibha of The Chef and her kitchen for the "I Love your blog" award. 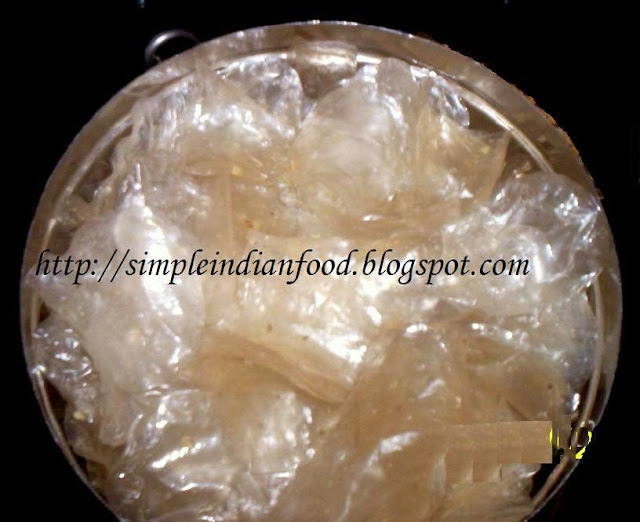 Recipe source: Lakshmi from Iyengar's kitchen. Wash the poha in some water and drain out the dirty water. Soak it in some water for about 1/2 hour to let it get soft. Heat the milk, condensed milk and sugar for five minutes. Add the poha and cocoa powder to it. Mix and let it come to a boil. Add cardamom powder and nuts. how to make chocolate poha payasam, gheer recipe, aval payasam, rice flakes kheer, quick desert for sudden guests and kids. Roast the paneer pieces in a drop of oil in tawa till crispy on all sides. Heat oil in a tawa, add the onions and green chillies and fry for a minute. Add the chopped tomatoes and cook for another 2 minutes till the tomatoes become soft. Now add the ginger paste, mixed vegetables and fry on high flame for a minute. Add salt and pav bhaji masala. Mix well. Finally add the cooked rice and paneer pieces. Coat the rice with the masala and cook for 2-3 minutes. how to make tawa pulao, tava pulav recipe, mixed rice variety, quick lunch, one dish meal recipe, healthy mixed vegetable rice. This recipe is from Nita Mehta's Mughlai Vegetarian Khana book with changes to suit our taste buds. Soak the dal for 1/2 hour. Pressure cook it till soft. Heat oil, add onions. Fry for a minute and add the tomatoes. 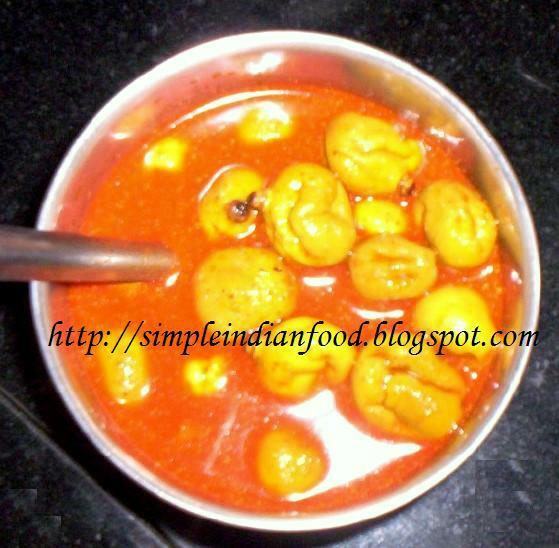 Cook till tomatoes are soft and add the rest of the ingredients except dal. Add some water and cook till palak is soft and done. Mash half of the cooked dal. Add the dal to the cooked spinach and mix well. Cook for 2 more minutes. No idea regarding the origin of these pooris..but read them in a personal recipe book of a friend. Make a soft dough of all the ingredients except oil and keep aside closed for 15 minutes. Make small balls of the dough,roll it into puris and fry them in hot oil. Serve hot with mildly spiced side dish of your choice. Make a fine powder of the sugar and dal. Add cardamom powder, nuts and raisins to it. Start adding ghee and keep mixing. Add ghee till you are able to make balls from the mixture. Since I had made fresh ghee a day earlier, I used the kashandu (the darker portion of the ghee that settles down at the bottom of the vessel when fresh ghee is made), the colour of the ladoos is a bit dark..if you use ghee you will get the ladoos in creamish off-white colour. The laddus can be stored for more than a week. Recipe source: This Konkani special dish is from Seema's version at My randap blog. Heat oil and fry the onions for a minute. Add the tamarind juice, salt and chilli powder. Cook for 2 minutes and add the cubed potatoes. Add more water if required for gravy and allow it to boil and get thick. Squeeze out all the water from the vegetables. Add the rest of the ingredients to it and mix well. Add gram flour as much required to make the ingredients into one big lump. Roll them into the skewers and cook them on a tava with oil.If you dont have skewers just shape them with hands like in the picture. Although measurements are given, they are just approximate..you can adjust it according to your taste. Sending this over to Sunshinemom for the RFRU:Starters event started by Ramki. This recipe is the creation of Priya of Easy n tasty recipes. The recipe is the same and it was very tasty. Dry roast the poha till it starts changing colour. Mix the milk, condensed milk and carrot paste, sugar and cardamom powder and cook for 2-3 minutes. Add the roasted poha to it and cook till soft. Add roasted nuts and serve hot or cold. Make a soft dough of wheat flour, salt and water and keep aside for 5 mins. Mix all the ingredients of the stuffing and keep ready. Make medium sized balls of the dough and roll out into thick poori. Place some stuffing in the center and close from all sides with the dough. Press lightly, dust with flour and roll out into thick poori. Repeat for the rest of the dough and deep fry the poori in hot oil till brown spots appear on both sides. To reduce the consumption of oil, it is better to pressure cook the vegetables with very little water and roast the potatoes and paneer with about 1 tbsp oil on tava. Heat the rest of the oil, add turmeric powder and then the vegetables without any water. Roast for a few minutes and then add the masala powders and salt. Mix well. Serve hot with non spicy rice variety like jeera rice. Sending it over to Neha for the FIC :Red and Green event, started by Sunshinemom of Tongue Ticklers. Reposting Kaju Paneer Masala for the Let's go nuts: Cashew Nuts event started by Aquadaze and guest hosted by Poornima of Tastytreats. Add little water to the palak and cook on low flame for five minutes. Cool and grind to smooth paste. Heat butter, add cloves and bay leaf. Add ginger paste and then palak paste. Cook for a minute and add salt and pepper as per taste. Add milk and cook for another minute. The recipe is same like my earlier Maida Halwa, just for the difference that I added about 2 tsp of cocoa powder before adding ghee to the mixture. You can add some pieces of cadbury's chocolate. Sending this over to Poornima for her event "For the love of chocolate". 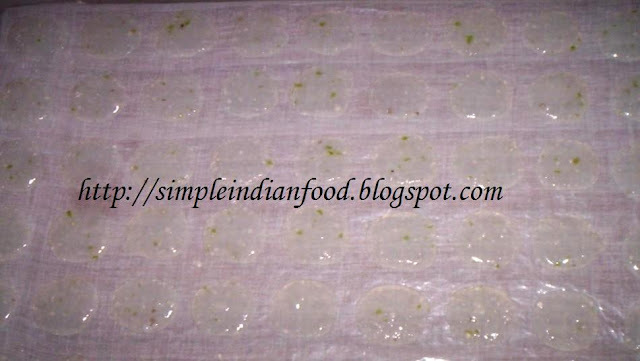 In a thin cotton cloth, put the curds and tie it tightly with a thread. Now hang this at an appropriate place and let the water drain out overnight. Next morning, add the rest of the ingredients to it and mix well. Garnish with nuts. Chill and serve. Heat a drop of oil and roast the mint leaves in it till raw smell goes. Cool and grind it with minimal water. Add the pudina paste and salt to the thick curds. Temper with mustard seeds. Make a soft dough of all the ingredients except oil/butter/ghee for cooking. Make medium sized balls and roll out into medium thickness chapatis. Cook on low heat in tava with oil/butter/ghee as required till brown spots appears on both sides. Make a thick batter of cornflour, all purpose flour, 1/2 tsp red chilli sauce and a bit of salt. Dip the paneer pieces in the batter and fry them in hot oil till golden brown. Drain out the excess oil using a tissue paper. Heat 1 tsp oil, add onions and fry them for a minute. Add capsicum and fry it as well for another minute. Add soya sauce, red chilli sauce,green chilli sauce and a pinch of salt. Add the paneer pieces and mix well to coat it with the sauce. Thanks all of you for your participation and enthusiasm in the event..The entries are in the order I received them.